With Ohio’s small game hunting season scheduled to begin early next month, the Ohio Division of Wildlife is gearing up for the annual releases of ring-necked pheasants. The first two releases at public hunting areas will take place just prior to the next two weekends, which have been designated for youth-only hunting. The regular season begins on Friday, Nov. 3 and runs through Jan. 14, 2018. Statewide, more than 14,000 will be released at 24 Ohio public hunting areas. In addition to the youth weekend stockings, pheasants will be released just prior to opening day and the Veterans Day and Thanksgiving holiday weekends. 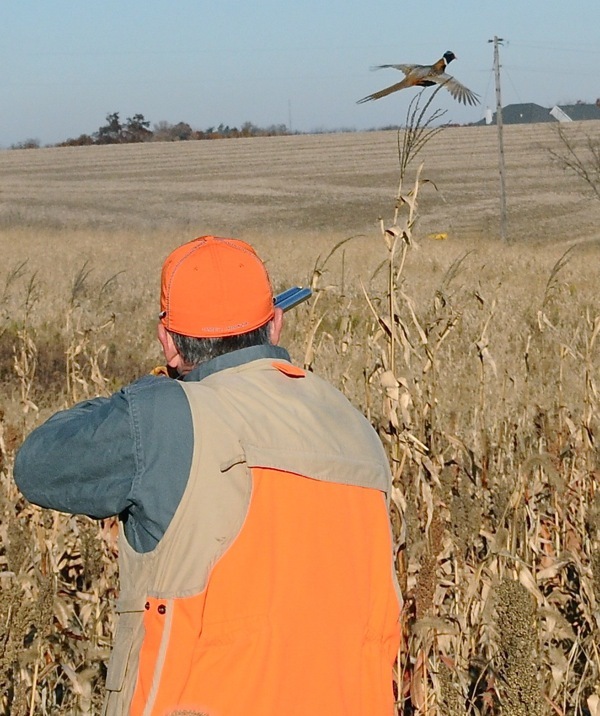 Licensed youths, ages 17 and younger, can hunt statewide for rabbit, pheasant and all other legal game in season during two designated youth-only weekends. Young hunters and adults should note there is a daily bag limit of two rooster (male) birds for anywhere in the state. No hens (females) may be killed. Females are all brown while the males have a green head, a red and brown body, as well as long tail feathers. Oct. 20: Fallsville 100-bird release, Spring Valley 50, Rush Run 60, Caesar Creek 100, Darke County 40. Oct. 27: Fallsville 170, Spring Valley 100, Rush Run 90, Caesar Creek 220, Darke 50. Nov. 2: Fallsville 220, Indian Creek 290, Spring Valley 190, Rush Run 210, Caesar Creek 210, Darke 100. Nov. 9: Fallsville 100, Indian Creek 90, Spring Valley 100, Rush Run 90, Caesar Creek 100, Darke 50. Nov. 22: Fallsville 120, Indian Creek 170, Spring Valley 100, Rush Run 100, Caesar Creek 100, Darke 80. For more information, visit wildohio.gov. Transportation Research Center, Inc. will hold a lottery drawing on Oct. 26 for special deer hunt opportunities. The hunts take place on TRC managed property located in Logan County. Hunting dates will be scheduled for Saturdays and Sundays from Dec. 2-Feb. 4. Approximately 15 hunters (and partners) will be drawn. The drawing will take place at the West Mansfield Conservation Club, 700 South Main Street, West Mansfield (east of Bellefontaine on Ohio 47). Registration starts at 5 p.m. with the drawing at 6 p.m. The drawing is for adults. Youth hunters may take part as partners. For information, call (614) 644-3925. If you find yourself looking for something to do on some of these nice fall days, I suggest you check out a Website put together by the state government’s tourism folks. Go to Ohio.org/Fallidays and you will find out about all kinds of things you can do in every corner of Ohio. There are activities such as hikes, ziplines and riding on airboats. There are festivals and Oktoberfests. There are thousands of shops and restaurants. It’s a cool site to peruse if you want to plan a quick fall getaway.